More than once you must have wondered how the newscasters can narrate in such a perfect way the news or how politicians give their speeches so fluidly. It is true that we are talking about professionals, but still, all of them require the help of a teleprompter! 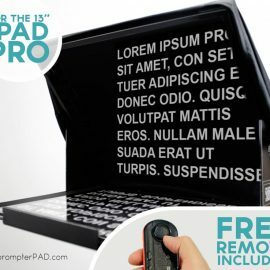 The teleprompter or autocue (also known as "cue”, or “prompter”) is a mechanism consisting of a screen or mirror that allows the person to continue his speech or text at the same time he utters. It is a reading tool, which aims to provide support and confidence to the speakers. Normally the teleprompter is operated with a foot pedal like the accelerator of the car, and is the speaker itself who determines the reading speed of the text, but there are also times when there is a professional in charge of the mechanism, a cue operator who should be able to introduce and to control the reading speed manually with a special wheel, in the case that the pedal does not exist. It is used in situations where the speaker faces live audiences, such as lectures, speeches, and exhibitions. 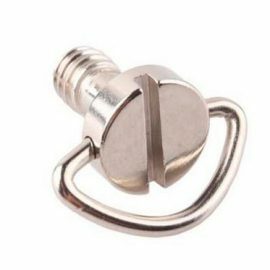 The mechanism has a crystal that is at the height of the user’s eyes, is held by a mast or foot similar to a microphone stand. This crystal is transparent from the point of view of the audience but with reflectance’s capabilities from the point of view of the speaker. At its base, it’s placed a computer screen or on last generation Teleprompters, an iPad or Android tablet. In some cases, two Teleprompters are placed, one at each side of the user, both synchronized with the same text allowing you to look at both sides giving more spontaneity. Podium Teleprompters are located 1.5 or 2 meters (3-5 ft) from the person to achieve agile and comfortable reading. 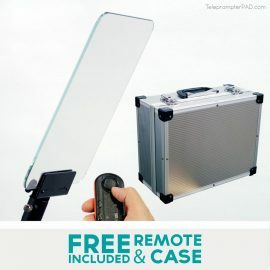 This type of teleprompter is used in all types of television recordings: live news and magazine programs, contests, pre-recorded programs, advertising, etc. The autocue is placed directly opposite to the camera lens, in which the text is projected, and is updated as the presenter reads. This is, as, in the version of a podium, a kind of mirror that is transparent on the side of the camera and the other one is reflective. Parallel to the rise of Internet video (thanks to platforms like YouTube) and integration into the daily life of smart phones (and smart tablets like the iPad), it has emerged a new generation of teleprompters replacing heavy computer screens by these versatile devices. 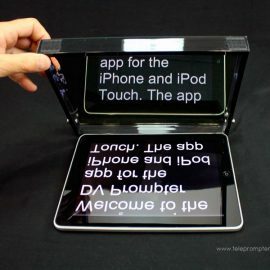 The new iPad teleprompter have similar a function to the conventional studio teleprompter but are much lighter and easier to use and transport (because they do not require to be connected to a power supply). Another advantage is a more affordable price, costing about one-fifth of what their older siblings cost. These features are becoming very popular both in home users (youtubers) as among companies that want, without major investments in sophisticated equipment, communicate with their audiences via video. Because of its excellent performance and practicality, an iPad teleprompter can be a great tool for many video enthusiasts. If you need a teleprompter app and do not know which one to choose, see our ranking iOS / Android teleprompter apps. 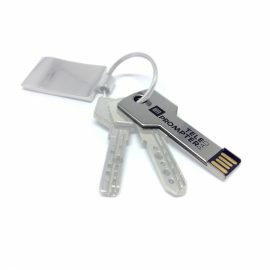 Android keyboard Adapter for USB remote teleprompter 4.09€ IVA/VAT no inc.